On behalf of the Organising Committee of ICMLS 2019 and ICMLS NIMHANS Branch, it is our great pleasure to invite you to join ICMLS-2019, the 2nd National Conference of Indian Confederation of Medical Laboratory Science scheduled to be held on 27th - 28th April, 2019 at Convention Centre, National Institute of Mental Health & Neurosciences (NIMHANS) Bengaluru, (India). The present scientificconference is a great scientificand professional opportunity for all Medical Laboratory Professionals engaged in various streams of Medical Laboratory Sciences (MLS) in public and private health care establishments including Faculty, Researchers and Students of MLS to exchange the knowledge about their professions face to face. The theme of Conference "The Role of Information Technology in transforming clinical lab practices" has a great significance in modern era of healthcare delivery. Participants will not only gain insights to the professional knowledge but also get the opportunity to discuss with renowned experts about their professional challenges and opportunities worldwide. The Indian Confederation of Medical Laboratory Science (ICMLS) is a national registered voice of more than 25 Medical Laboratory staff Associations. ICMLS is a permanent member of International Federation of Biomedical Laboratory Sciences (IFBLS). It is also affiliated with Asian Association of Medical Laboratory Scientists (AAMLS). It is also a member of JFMTI which has been striving hard for establishment of a central regulatory framework for all major unregulated streams of allied health sciences and medical technology in India. ICMLS is also a partner organization under NIAHS, Government of India and is actively engaged in standardization, advancement and for the betterment of Medical Laboratory Sciences in India. Apart from important scientific deliberation, the venue of Conference i.e. NIMHANS, Bengaluru is also very renowned institute situated in the heart of Bengaluru the IT city of India. ICMLS- (NIMHANS Branch) feel proud to host this wonderful event and look forward to welcome you to enjoy our conference and discover Bengaluru during the spring of 2019. Online Registration - Registration for Conference is available online through ICMLS website i.e, www.icmls.com. Registration form can be filled and requisite fee can be paid directly through online process in given Conference account. Only 25% registrations are available for Medical Laboratory students on first-come, first-served basis. Certificate from HOD of concerned institute or Institute ID card is mandatory for student registration. ICMLS-2019 is open for Medical Laboratory Technology Professionals i.e Medical Laboratory Technologists, Technicians, Medical Laboratory Scientists Faculty, Members, Researchers, Diagnostic Industry sponsors and students from all major fields of Medical Laboratory Sciences. The Bengaluru State capital of Karnataka is conducted to all major cities through rail, bus and air Network. NIMHANS is located on Hosur road. 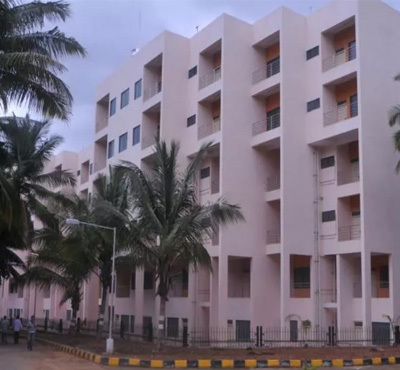 The complex is around 40 km away from Kempegowda International Airport and approximately 8 km from Bengaluru city railway station and 7 km from Kempegowda Bus Station. The National Institute of Mental Health and Neuro Sciences (NIMHANS) is a multidisciplinary institute for patient care and academic pursuit in the field of mental health and neurosciences. NIMHANS is synonymous with providing high standards of clinical care, quality training and cutting-edge research in the frontier areas. Combined priorities for comprehensive patient care, manpower development and research, stem from the commitment to an integrated and multidisciplinary approach which addresses societal needs. The advances in genomics, computational neuroscience, mathematical modelling, neuroimaging, molecular biology and a host of new disciplines including public health, are being translated to help humanity in need and promote the growth of knowledge. A special feature of this Institute since its inception is the combination of research and training with promotive, preventive and curative aspects of clinical services in Mental Health and Neurosciences. The manpower development programmes at NIMHANS reflect the strides in fusing together and nurturing behavioural sciences, neurosciences, basic biological sciences and ancient health systems. The Institute provides inputs to the Central and State Governments in areas including the establishment of new psychiatric facilities, improvement of existing facilities and strategizing a national programme for mental health. The Institute has emerged as the nodal centre for evolving national policies in the field of mental health, neurosciences and injury. This exemplifies a unique model of successful partnership between the Union and State Governments (Ministry of Health and Family Welfare), NIMHANS has made significant progress and is a centre for excellence in mental health and neuroscience in the country. NIMHANS has produced more than 1,000 Psychiatrists, about 600 Clinical Psychologists and Psychiatric Nurses so far—who are working in both national and international contexts. The history of the institute dates back to 1847, when the Bangalore Lunatic Asylum was founded. In 1925, the Government of Mysore rechristened the asylum as the Mental Hospital. The Mysore Government Mental Hospital became the first institute in India for postgraduate training in psychiatry. The National Institute of Mental Health and Neurosciences (NIMHANS) was the result of the amalgamation of the erstwhile State Mental Hospital and the All India Institute of Mental Health (AIIMH) established by the Government of India in 1954. The institute was inaugurated on 27 December 1974, establishing it as an autonomous body under the Societies Registration Act to lead in the area of medical service and research in the country. On November 14, 1994, NIMHANS was conferred a deemed university status by the University Grants Commission with academic autonomy. The institute has been declared as an Institute of National Importance by an act of parliament in 2012.